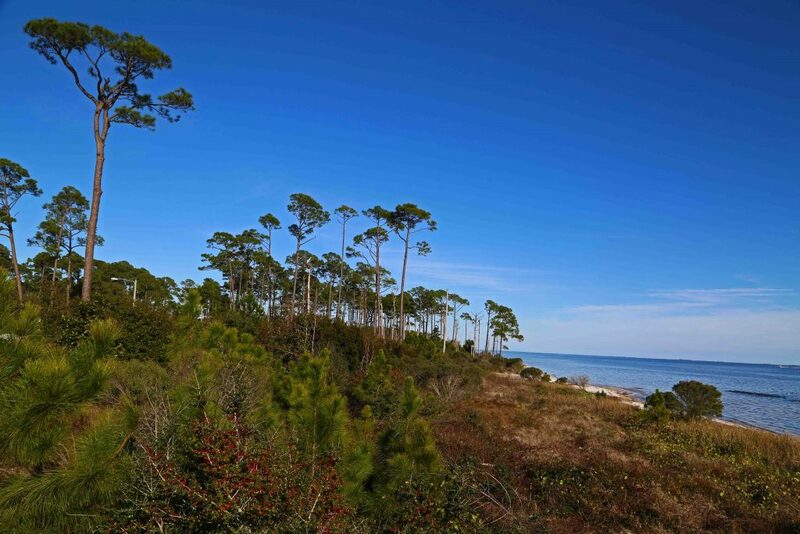 Gulf Islands National Seashore is a large park located in both Florida and Mississippi. The Florida section is broken down into six different areas and Mississippi is broken down into another seven areas! This means you will not see the park in one day. The great news is that there is so much to see and do that you will want to spend several days exploring this incredible place. 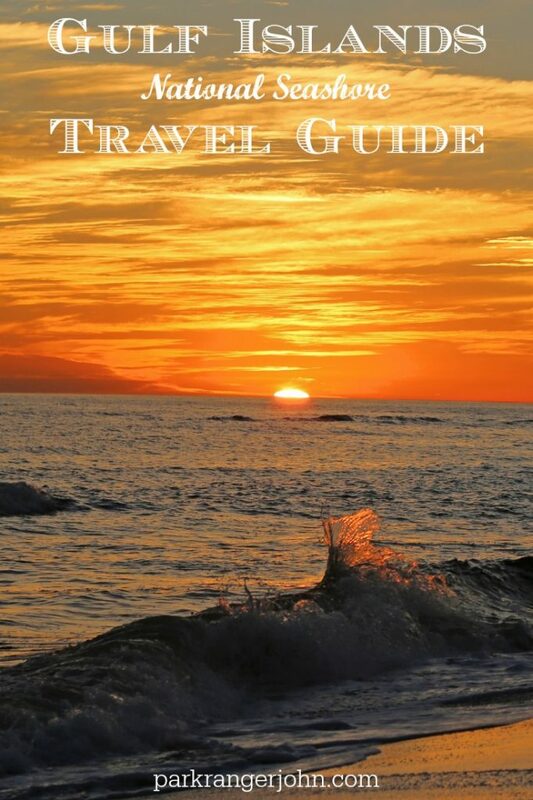 Here is my list of things to do at Gulf Islands National Seashore in Florida. 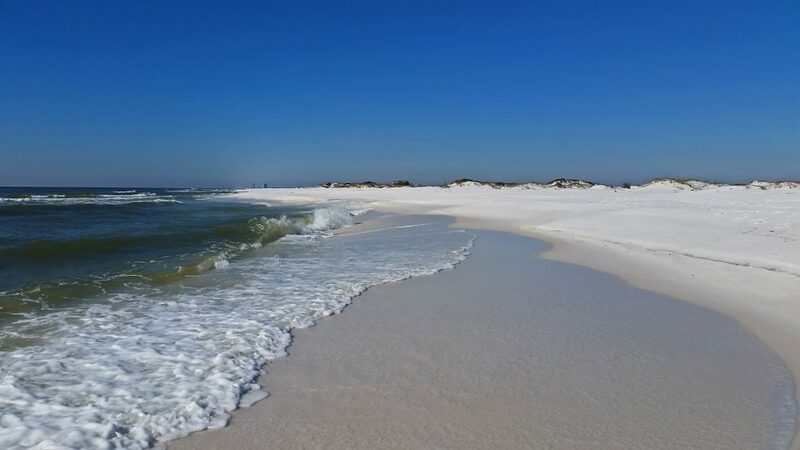 I can’t express to you just how beautiful the beaches are at Gulf Islands National Seashore! 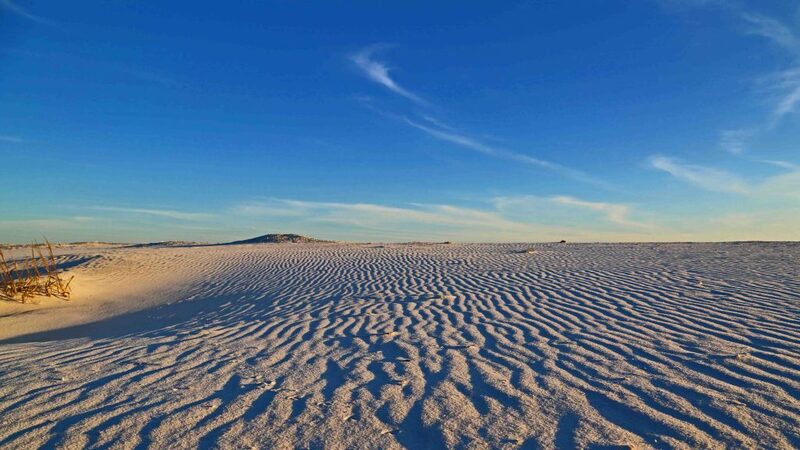 The white sand beckons you to take off your shoes and go for a walk so that you can feel its soft fine grains of sand between your toes! 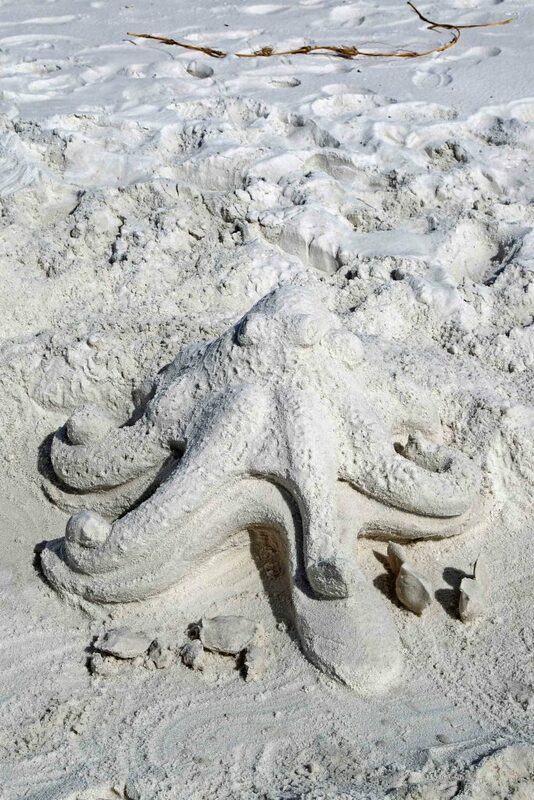 Of course, there is so much you can do at the beach like swimming, sunbathing, fishing, making sand castles and play beach games like playing frisbee. 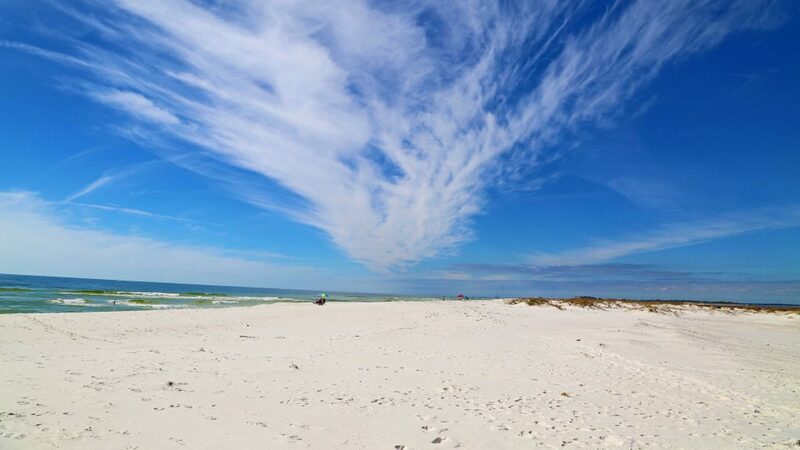 My favorite beach spots were the Santa Rosa Area and along the drive to Fort Pickens. 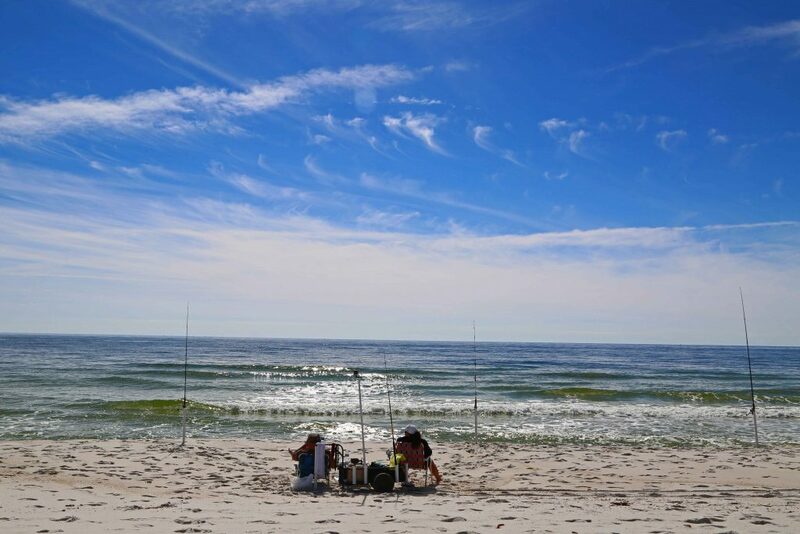 Perdido Key is also referred to as the hidden gem of Northwest Florida with its beautiful beaches. Park Ranger John Pro Tip: Did you know that 80% of all beach rescues are due to rip currents? Could you identify a rip current? Do you know how to get out of one? Make sure to visit the NOAA website for an excellent video on rip currents. Are you like me and love exploring forts? 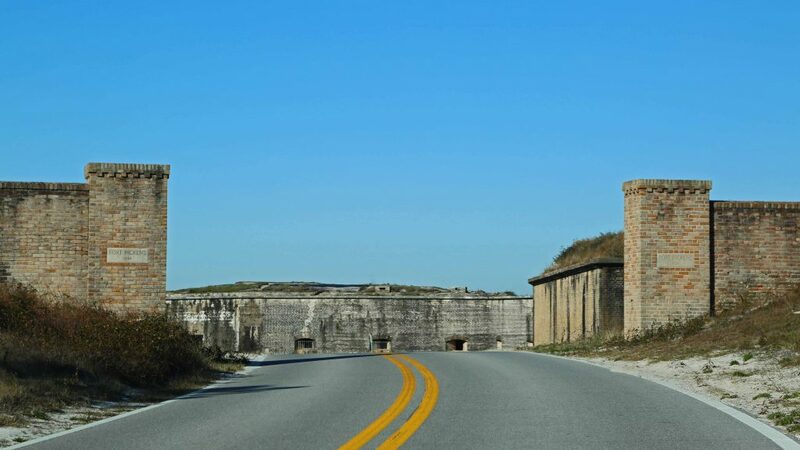 If so, you are in luck here as there are 3 forts at Gulf Islands National Seashore in Florida; Fort Pickens, Advanced Redoubt, and Fort Barrancas. Fort Pickens has a museum and Fort Barrancas has a visitor center with exhibits. Make sure to explore the forts on your own or attend a ranger program. 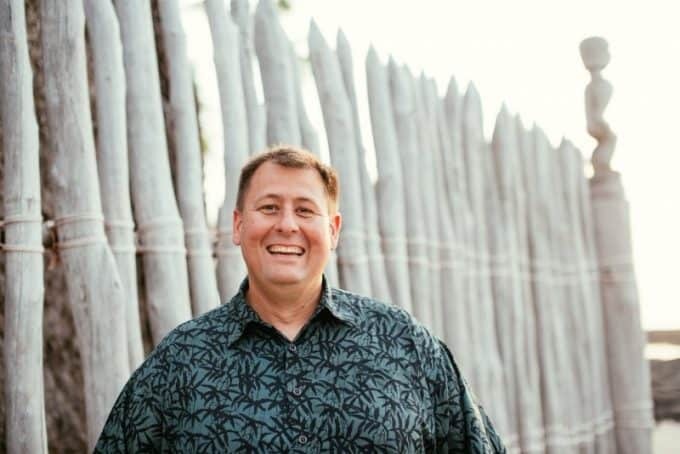 Ranger talks include subjects like Fort Pickens: Garrison for freedom, Advanced Redoubt, Legacy of Brick and Mortar and Fort Barrancas, Guardian of the Gulf. 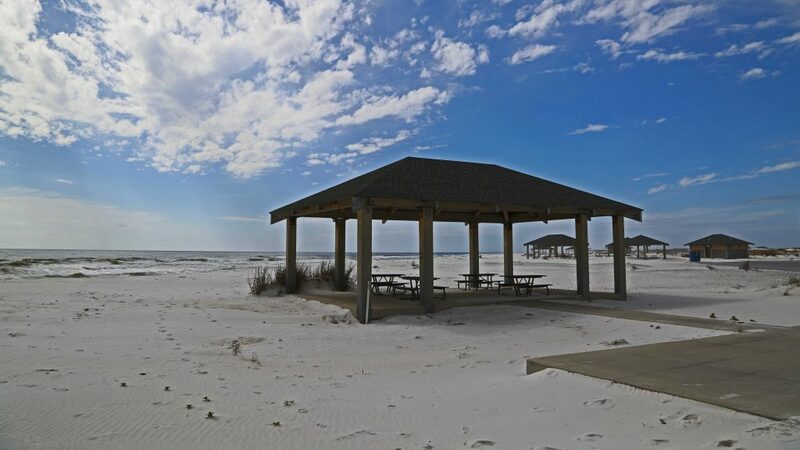 How would you like to have a relaxing day at the beach with a picnic at this covered pavilion? You can find pavilions at Opal Beach in the Santa Rosa Area and several other locations within the park. Some of the Pavilions can be reserved by calling (850)934-2605. As of December 2017, the fees for reserving a Pavilion is $70 which includes a $50 non-refundable reservation fee. 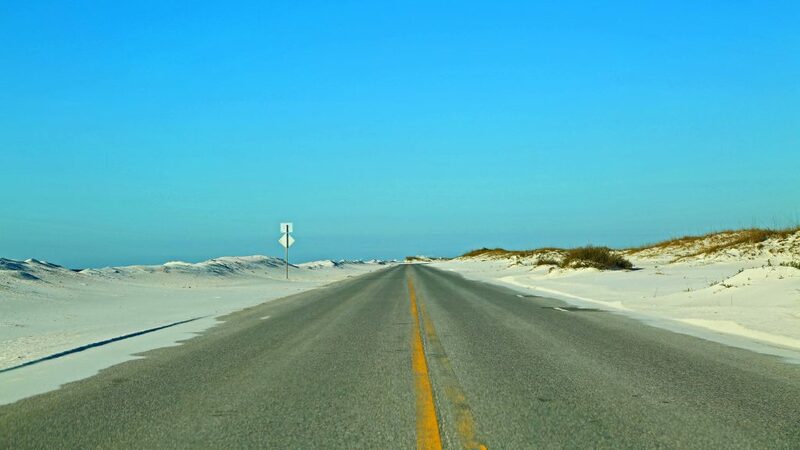 One of my most memorable parts of Gulf Islands was the drive along Santa Rosa and to Fort Pickens! You will be surrounded by sand, beach access points, and the ocean. I also really liked the parks entrance sign as its one of the unique park signs that you will see. There is more to hike here than just beaches! 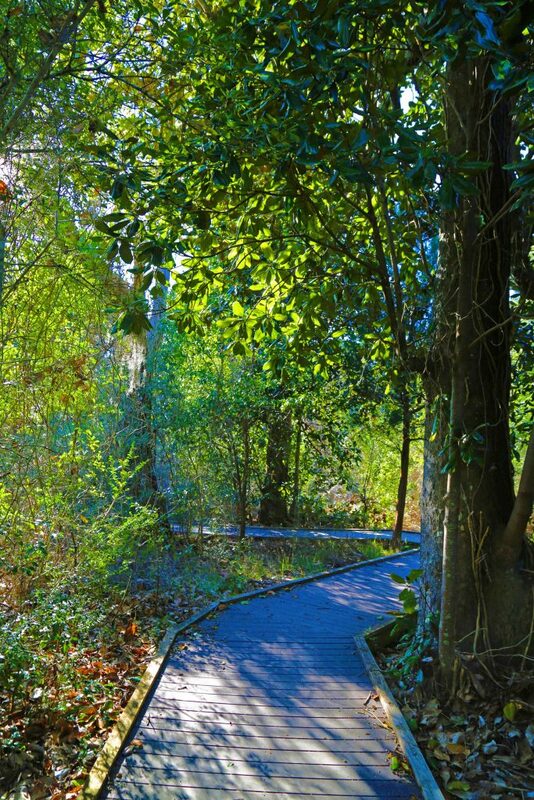 The Naval Live Oaks area has 7.5 miles of trails itself including a 0.8 mile Brackenridge Nature Trail. There are several interpretative panels along this trail with lots of shade trees. You can also go for a hike the Florida National Scenic Trail. Also referred to as the Florida Trail, it is one of 11 National Scenic Trails in the United States and is 1300 miles long. The trail starts/stops at Big Cypress National Preserve and Fort Pickens. I can’t think of a better way to reward yourself after spending the day exploring Gulf Islands National Seashore than watching the sunset! I have had the opportunity to see several here and all I can say is WOW! My mind was blown away with all the vibrant color making me look forward to sunset each night. 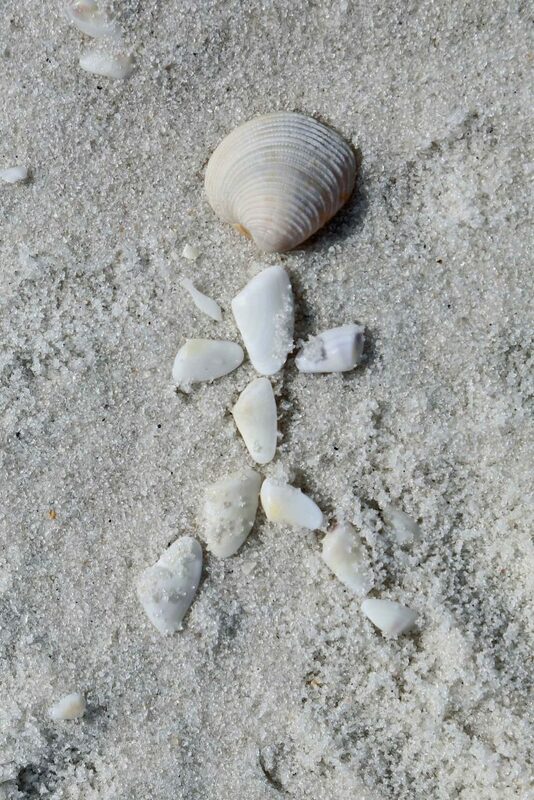 Make sure to plan more time than you think you need when visiting Gulf Islands National Seashore. The park is long and can take a lot of time driving between the parks six different locations in Florida. 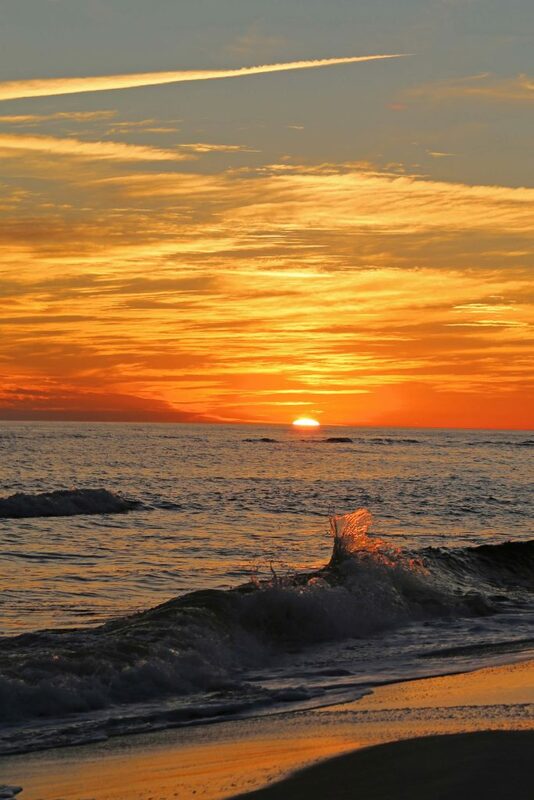 You will also want to spend time at the beach, it’s absolutely stunning! We had to take one last stroll on the beach before leaving! 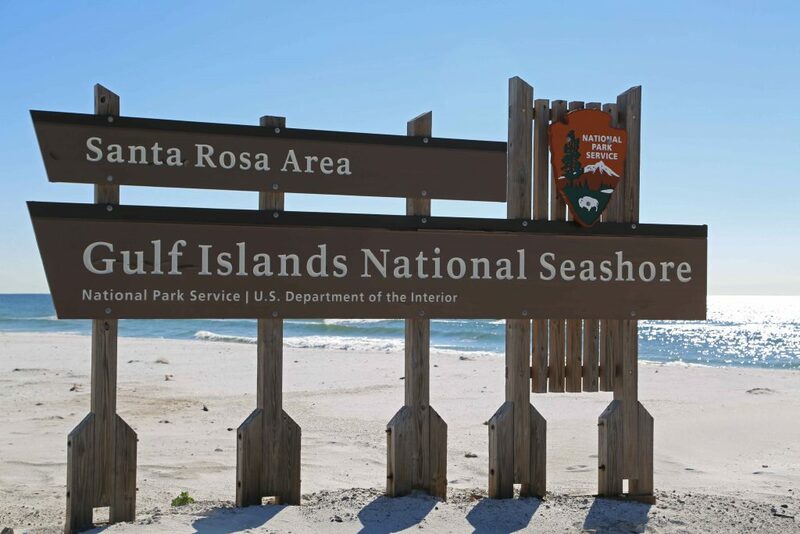 Don’t forget to check out other parks near Gulf Islands National Seashore listed below. National Park Sites of Florida and Mississippi National Parks!